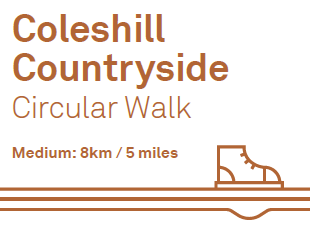 An medium difficulty circular walk exploring the countryside around Coleshill following public footpaths and quiet lanes. 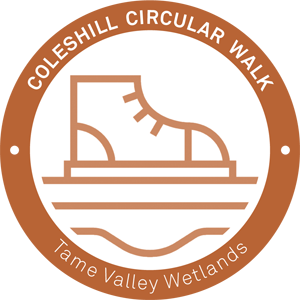 Landscape and path type: The route uses unsurfaced footpaths through arable fields, muddy farm tracks, tarmacked pavements and roads. There are sets of steps, footbridges, slopes, pedestrian and kissing gates during this walk. Sturdy footwear is recommended. 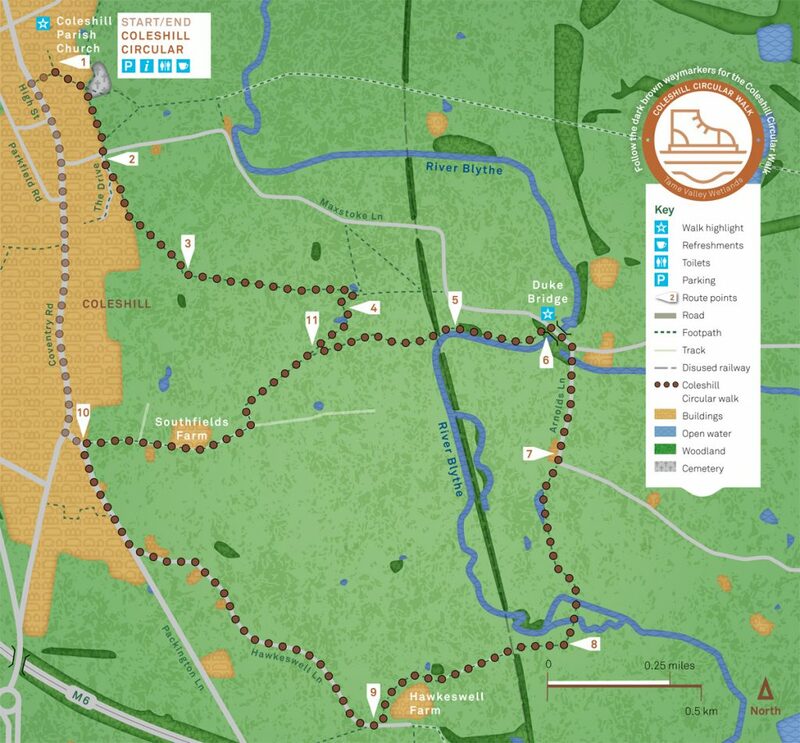 Please be aware the walk crosses area where the River Blythe floods during adverse weather. Map: OS Map 221 Coventry & Warwick, Royal Leamington Spa & Kenilworth. Dogs: Permitted, under control at all times. This entry was posted in walks on 3rd January 2018 by Ian Wykes.